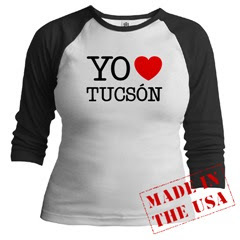 During the Week of September 1-6 not New York, not Los Angeles, not Miami - but Tucson! - will celebrate the arts, the music, the literature, and the history of Brazil. 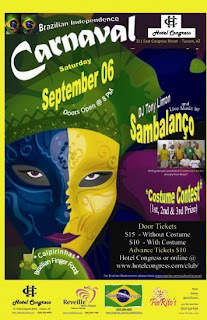 The Honorable Mayor Bob Walkup has agreed to officially declare the week of September 1-6 Brazilian Week! Fancy! For more info on all the food, workshops, music, dance, screenings, exhibits and events that will take place during Brazilian Week, go to The Brazilian Week web page by clicking here. In my opinion, the crown jewels of the week will be the presence of Brazilian artist and percussionist Ari Colares - who will not only perform, but also hold a percussion workshop - and the Brazilian Independence Carnaval at Club Congress.